Home » Blog » Happy 1st Birthday Matthew! I’ve been awake since 0530, too excited to sleep. Today is the first birthday of my baby boy, Matthew! One year ago today, via c-section, my sweet little man was born in Weiden, Germany at 8:31am. Matthew William weighed 5lbs 12oz and was 19.5 inches long. 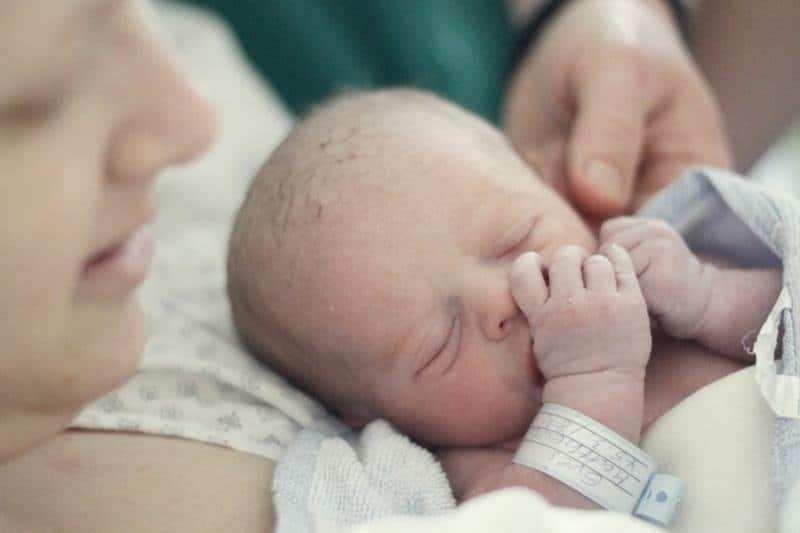 Matty was so tiny when he was born, it’s almost hard to believe that in just a year later, he’s grown into such a little man! I’m sure he’s well over 20lbs now and at least 23in long… we’ll find out for sure tomorrow at his 1 year check-up though! We started celebrating Matty’s birthday in the middle of February with a birthday photo session with Allie Beardsley Photography. Allie did Matty’s birth pictures too so I was super excited when she was able to take his 1st birthday pictures as well. 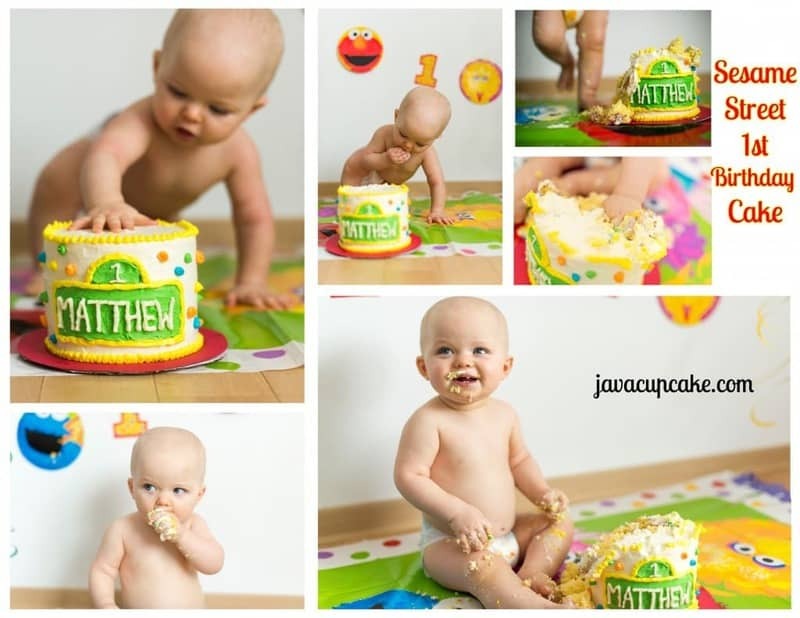 For this photo session, I needed a great cake for Matty to eat, smash and get messy with! I knew it just had to be pretty for pictures, so I made a yellow cake and frosted it with a flour frosting. Pretty basic. 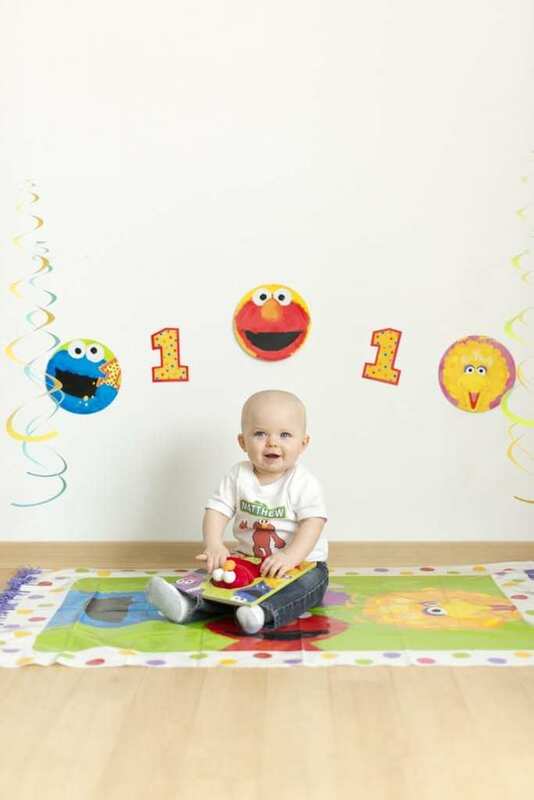 To decorate the cake, I went with the theme of his party – Sesame Street! Since I’ve never done any kind of formal cake decorating I knew I had to keep things simple. I colored the frosting in orange, yellow, green and blue then added a yellow border along the edges of the cake. 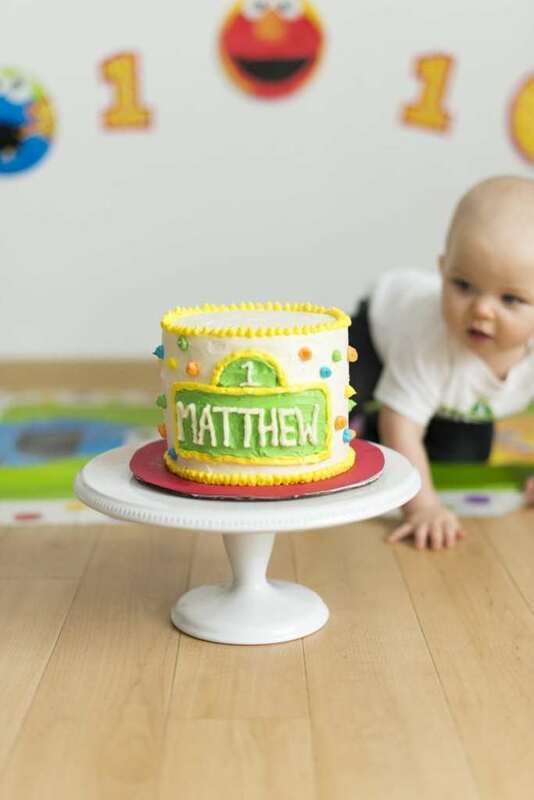 I used the green frosting to make the Sesame Street sign, outlined it in yellow then piped Matthew and the #1 on it. I used the remaining colored frosting to pipe dots along the side of the cake. Overall, I think it turned out pretty darn cute! And… Matty had a BLAST smashing it and eating it! Tonight we’re celebrating Matthew’s official birthday with mini chocolate chip cookie cakes. I’ll be writing about them and the Sesame Street cupcakes I’m making for his big birthday party at the end of the month… so stay tuned for that! HAPPY BIRTHDAY MATTY PANTS!!! MOMMY LOVES YOU SO MUCH!!!! And just because this picture is one of my absolute favorites – I had to share it with you! 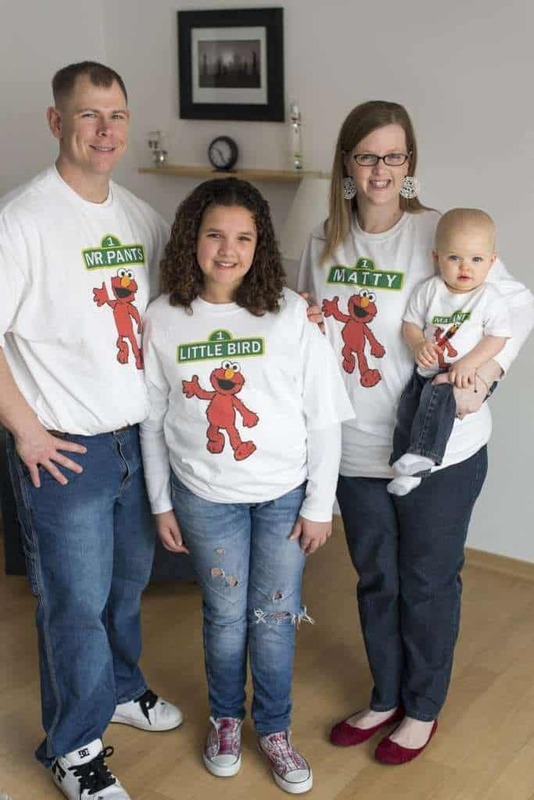 I ordered us matching Sesame Street birthday shirts to wear for all of Matty’s parties. On each shirt they had all the different nicknames we call Matthew – and of course, on his shirt, it says his name! I ordered these shirts from Cheaper Than Shirt on ETSY. They were super easy to have custom made and were really reasonably priced! Plus – the people who run the shop were super nice and they shipped fast! Happy1st Birthday Matthew! Gorgeous pics, a great family pic. Happy Birthday Matthew!! Beautiful pictures – thank you so much for sharing. I loved all your matching shirts and you did a fantastic job decorating the cake! Your baby boy is super adorable!